Happy Wednesday! 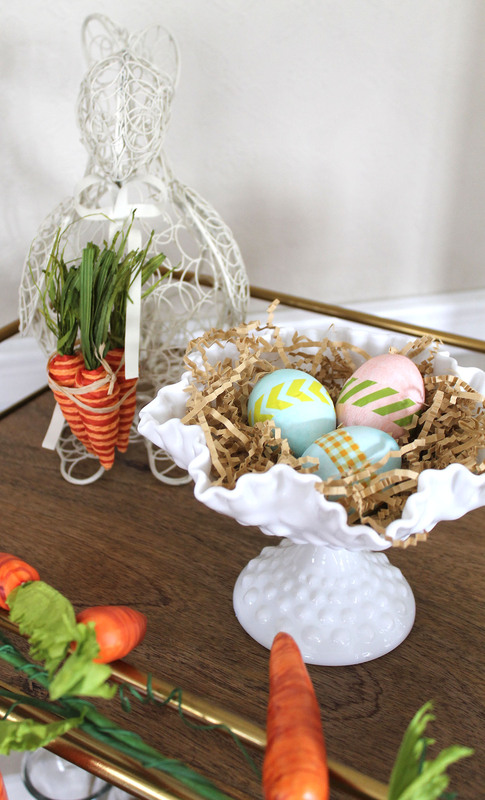 You know how much I love washi tape…well, I couldn’t let Easter pass us by without giving you a few ideas on egg decorating using washi tape. The really great thing about using washi tape to decorate eggs is that it comes off easily if you want to change it, whereas paints and dyes are more permanent. 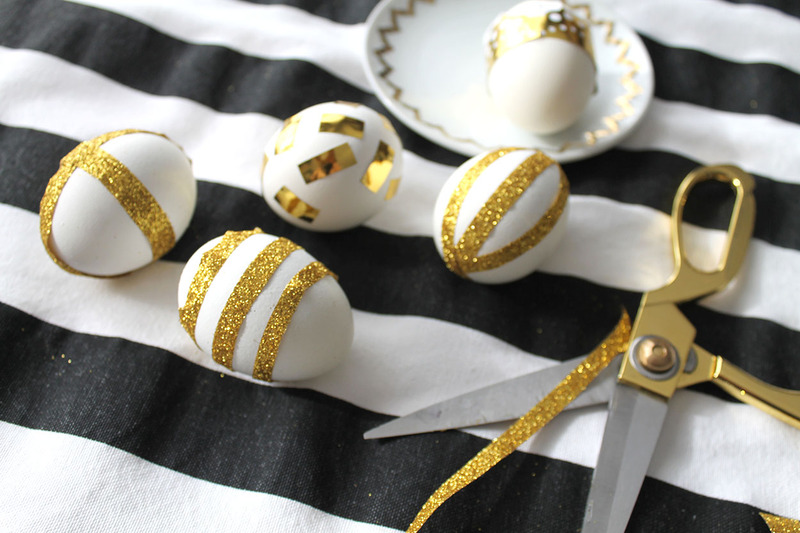 Start off with hard boiled eggs, and be creative with your designs. 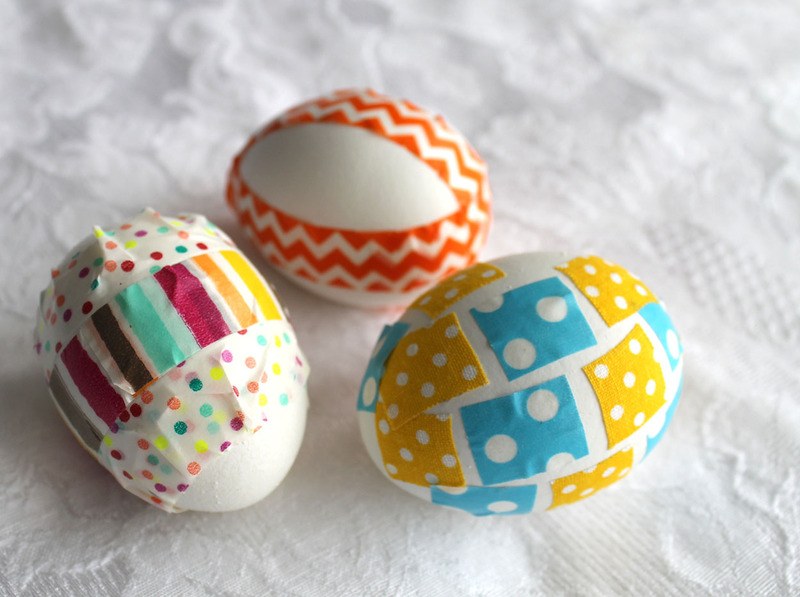 Decorate the eggs with small squares of washi tape or adhere strips of the tape around the eggs going in various directions. Mix and match colors and patterns of washi tape. Who loves finding the golden egg? There is always a race to find it at our neighborhood egg hunt every year! 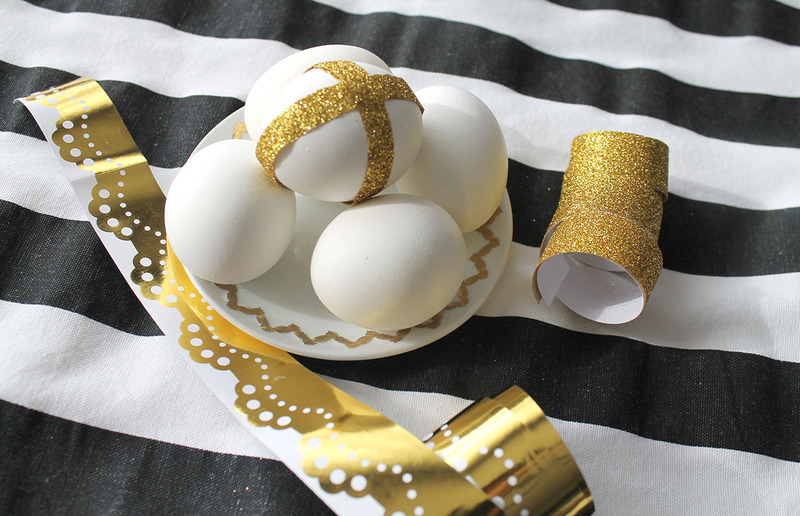 With that in mind, using gold metallic washi tape would add that extra sparkle to a very special egg. Once again, be creative and whimsical with your designs! Now who wouldn’t love finding an egg like that? 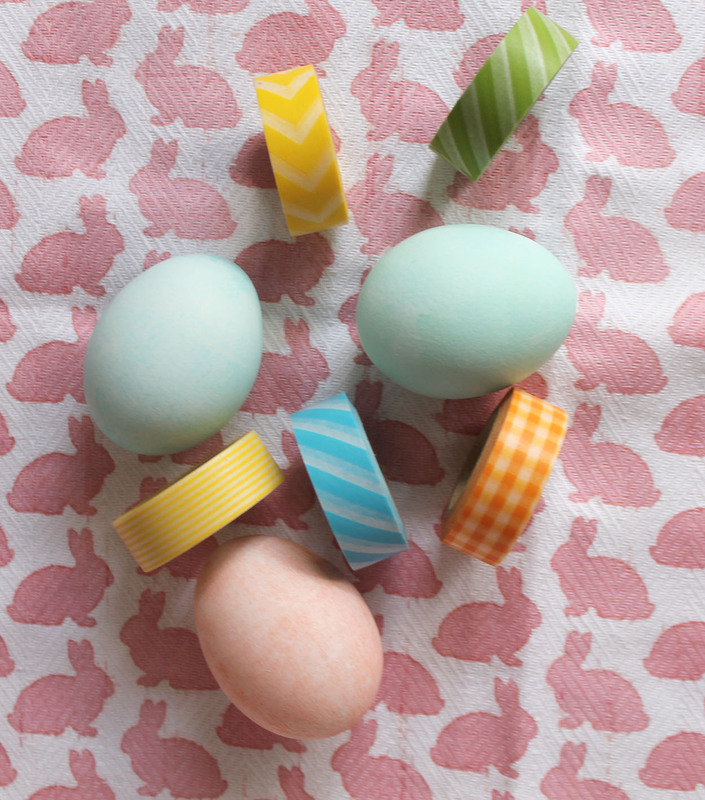 Washi tape can be combined with dyeing the eggs, too. 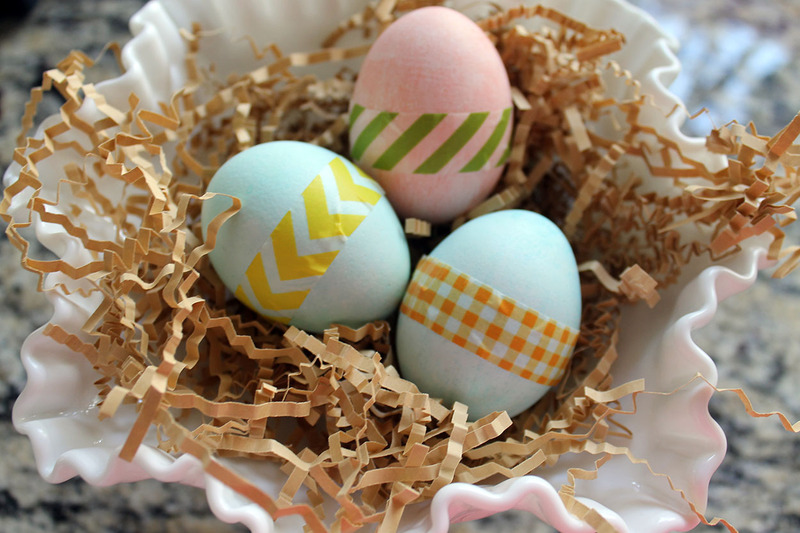 Just dye the eggs as you normally would, dry them, and adhere the washi tape. 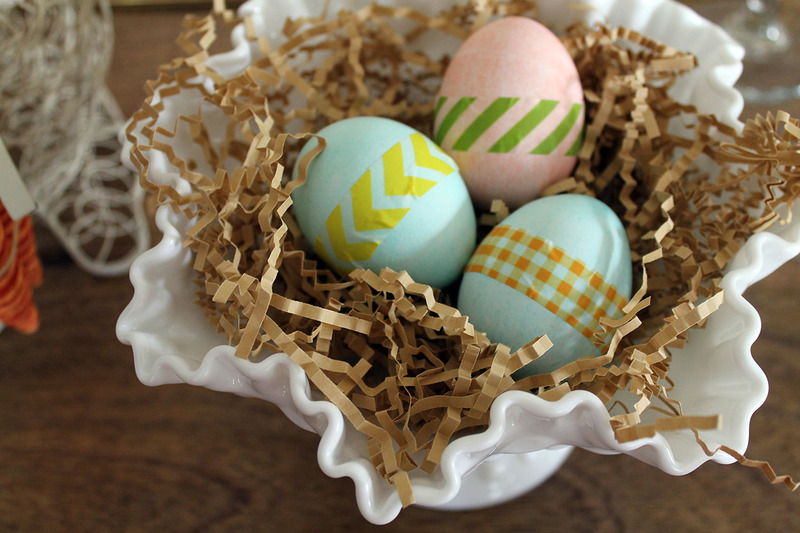 A simple strip of tape around the middle of each egg adds just the right pop of color! 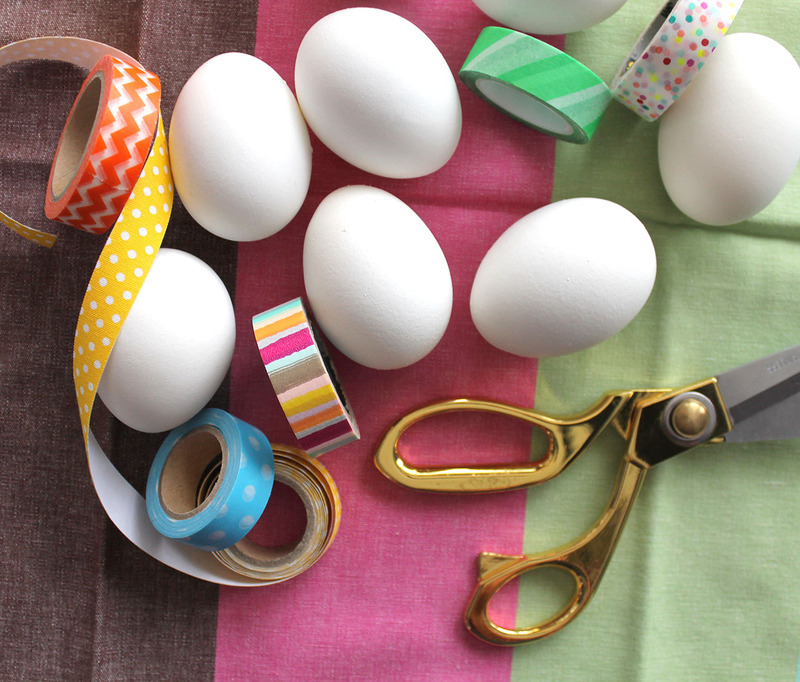 Decorating Easter eggs with washi tape can be a great alternative to dyeing eggs, especially for kids…definitely less mess! 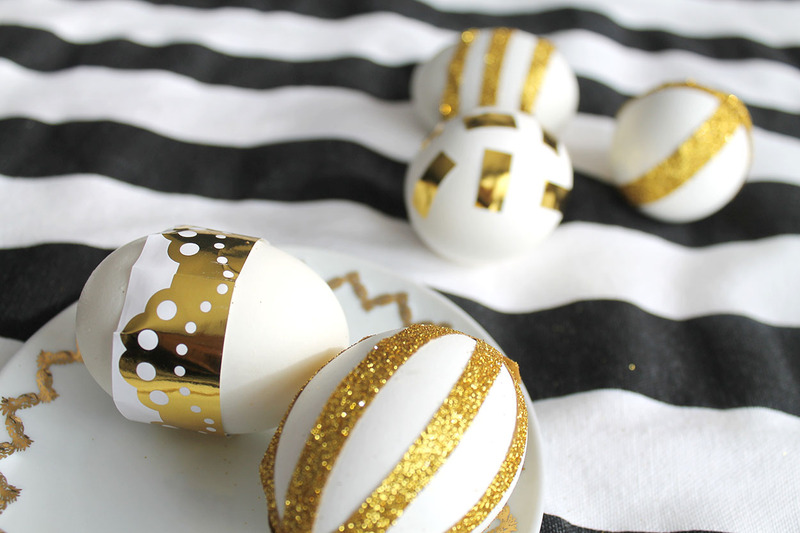 But you don’t need to be a kid to decorate eggs…be creative and enjoy!